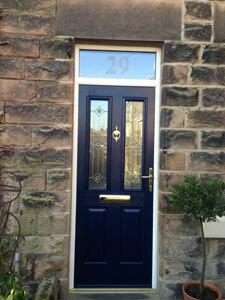 This stone property in Matlock had non-original upvc casment windows and a upvc door. The client wished to turn this Victorian property back to its original look of having sash windows. 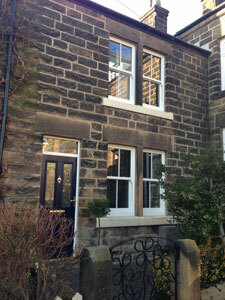 New timber alternative sliding sash windows were installed and a solidor composite door. Internally the windows were finished with timber architrave.